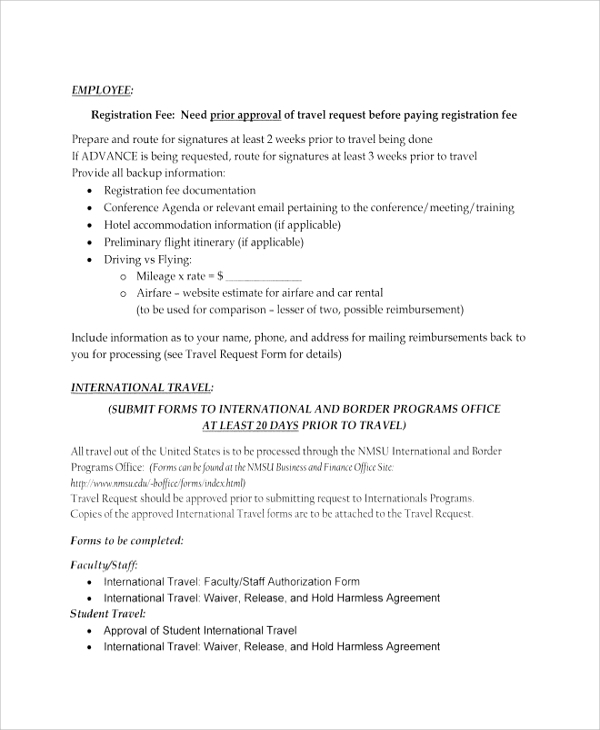 A granted travel schedule ensures reimbursement. 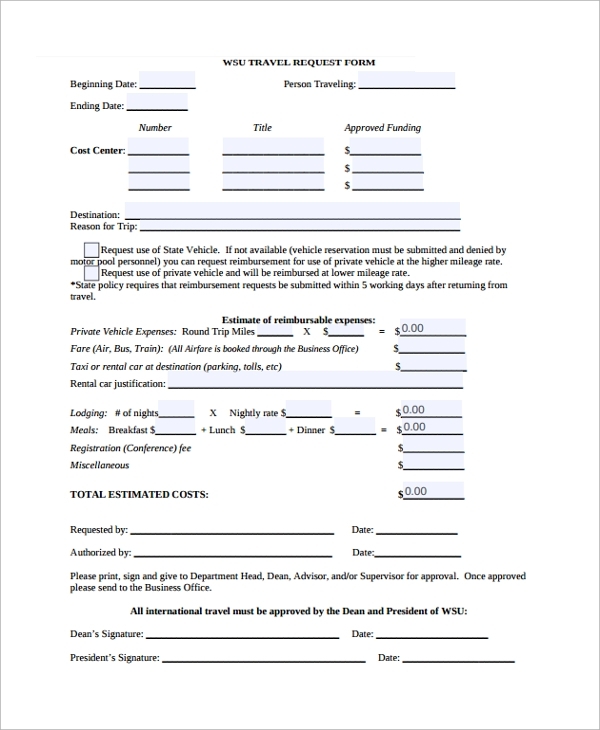 For this purpose, use our Travel Requisition Form Template. 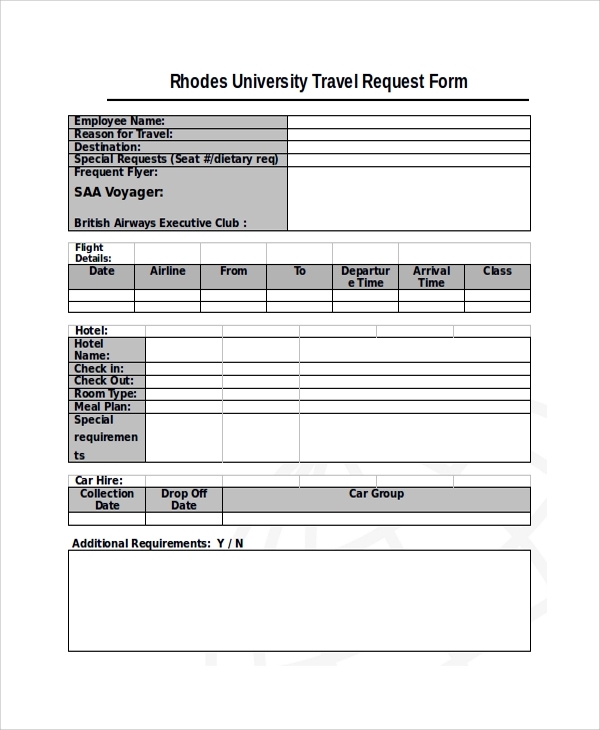 Our travel request form templates are keen, fresh and have descriptive designs. Easy customization and print-ready quality make it the best option. 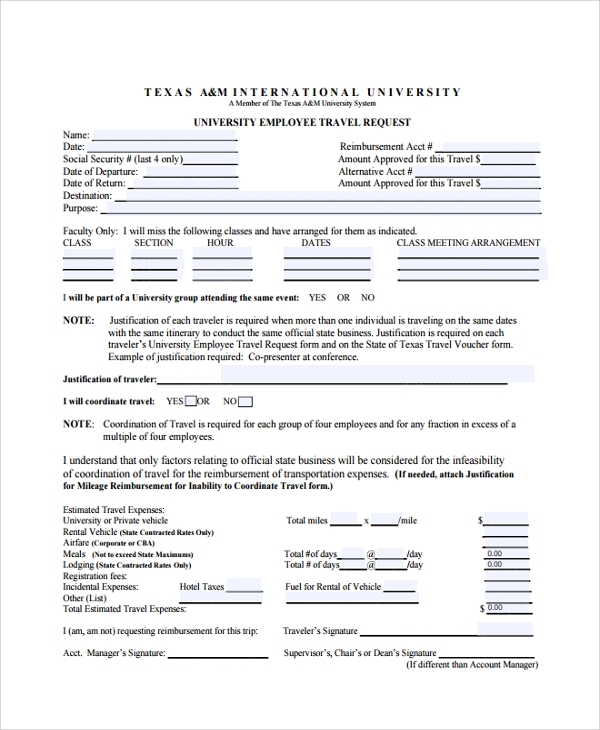 University Travel Request Form Template is an online form. Download the template to edit university/organization name. 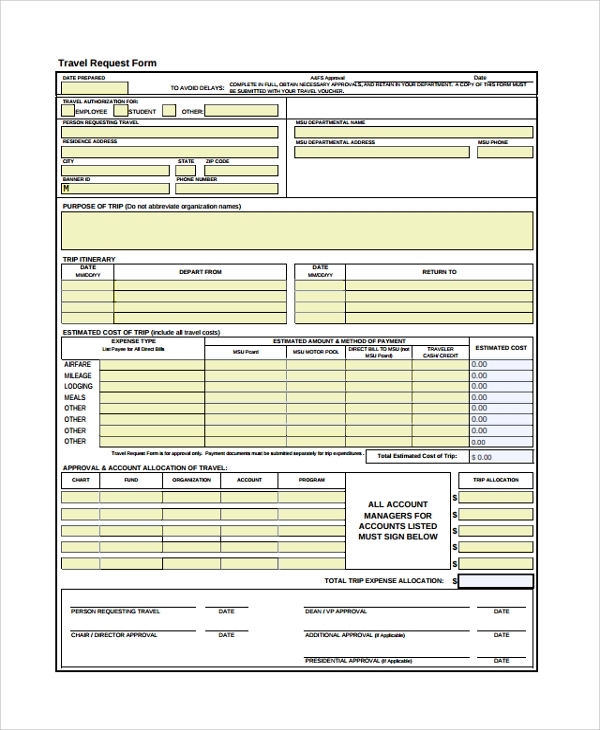 The form contains various input fields to describe travel purpose, expenses and other details. Take a print and forward it to the directors, the dean, the chairperson, and the president for fund approval. 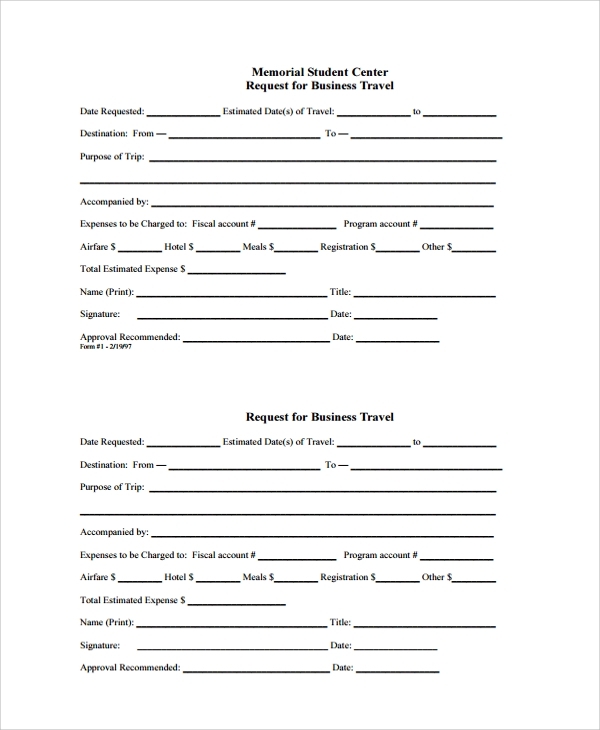 Business Travel Request Form template is a keen simple design that can be used for any purpose. 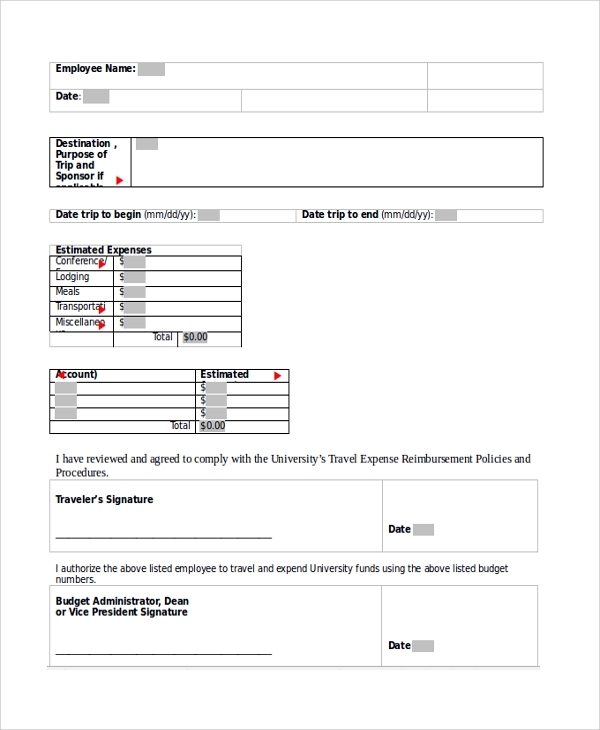 It contains various input fields for including traveling information like date, destination, the purpose of the trip, expenses, total budget, name, signature and program title. 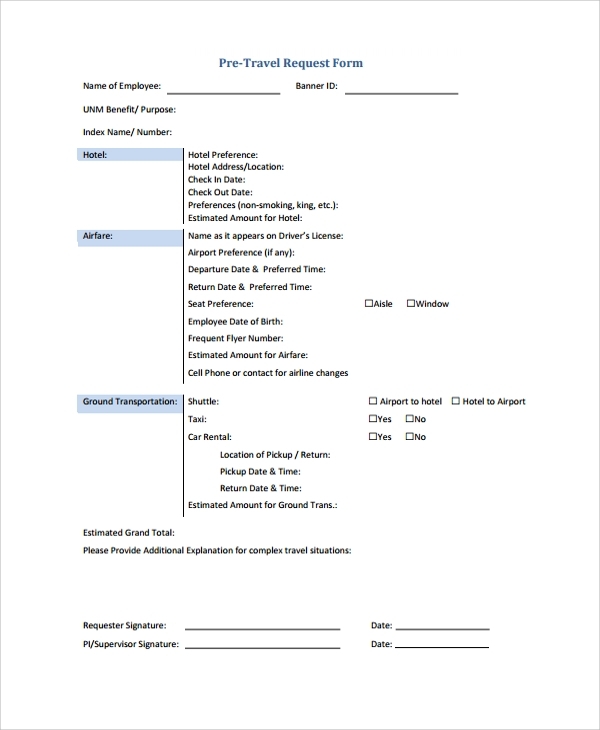 Employee Travel Request Form Template can be used for funding both employees and non-employees business trips. 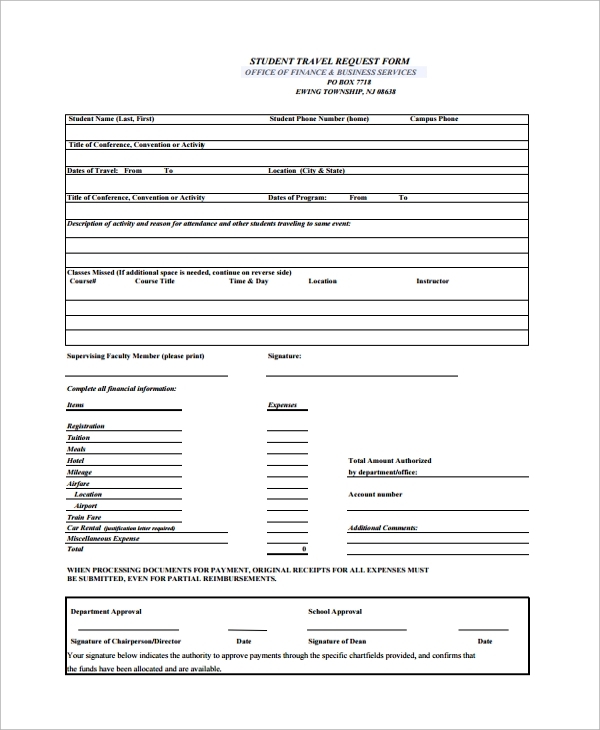 Print it for handwritten purpose or open the template in Ms-Word for customization. 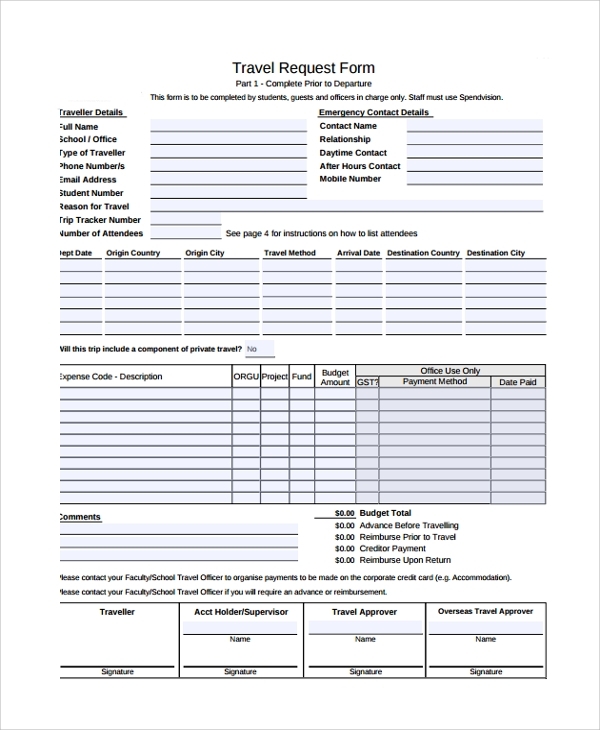 Our Travel Requisition Form Templates are well organized, print-ready, informative and are formal design papers. These templates can be used in any profit or non-profit institute. In case, you need customization or new design then ask us for support. We will analyze your needs and produce the best templates under a short timeline.